Hey bunnies! I live in a place (in RL) that doesn’t really see seasons. It’s hot. It’s less hot. It’s stupid cold. It’s hot again. All usually in the same week! So I don’t get to go play with beautifully colored fall leaves, or even see them change colors much before they’re just brown and on the ground. 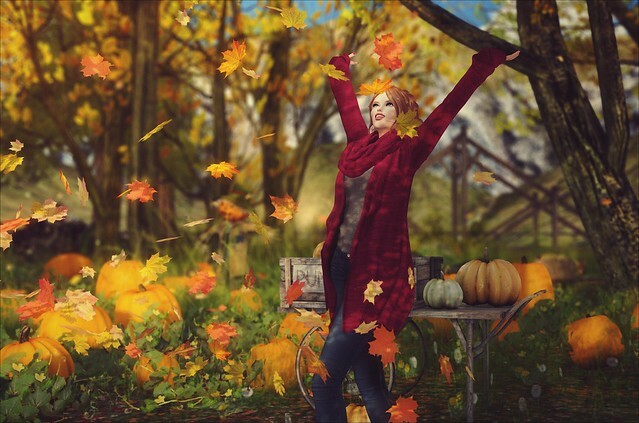 So this is definitely why I’m thankful for Second Life. I get the joy of experiencing seasons! I hope you all are having a wonderful fall, in both worlds!